Resistance from Slaves came in several forms. Resistance began in Africa, with many examples of anti-Slavery campaigning. Some rebelled whilst on ships in the Atlantic. Others rioted while on plantations. There are cases of Slave owners being killed by groups of enraged slaves. All of these methods were highly dangerous for the slaves involved, if caught, they faced certain death. 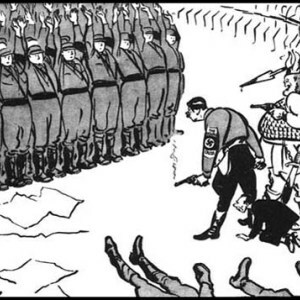 More passive forms of resistance were also very common. Running away was one option. For others the resistance was based around the amount or quality of work done, petty theft or insubordination. Nzinga Mbandi is an early example of a leader who challenged the European slave nations. Nzinga is first mentioned as an ambassador sent to secure a peace between her people and the Portuguese. A treaty was agreed but the Portuguese soon reneged on it. Instead of capitulating, Nzinga led a resistance against the Portuguese. A Slave Port was captured and Portuguese reinforcements repelled. A wily politician Nzinga formed an alliance with the Dutch. This and her military tactics saw the Portuguese thwarted in several of their attempts to seize more of her territories. Nzinga’s lands lay in modern day Angola. She lived from c1583-1663. Her final years were ones of relative peace, a treaty having once again been agreed with a war weary Portugal. He noted that by converting his army from bows and arrows to guns, he needed a steady supply of gunpowder from the Europeans. He also described the fine clothing of his wives and the opulence of his royal court, implying that he needed a reliable supply of imported cloth and other luxury goods in order to maintain the court lifestyle. Finally, he noted that, as king of Dahomey, he had an obligation to distribute cowry shells and other common goods periodically among the common people. The cowry shells for the common people, like the silk cloth for the royal wives and the gunpowder for the army, could be obtained only through the slave trade. The understandingslavery.com website suggests that one in ten voyages across the Middle Passage saw a rebellion of some kind. One of the most famous examples of Slave resistance during the Middle Passage is that on board the Amistad. This rebellion happened in 1839: after slavery was purportedly ended in the British empire. 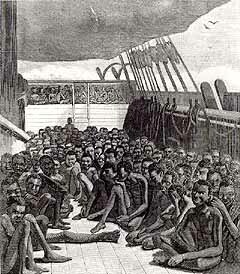 Here some 53 Africans were kidnapped and placed onto the cargo ship Amistad. The ship set sail across the Middle Passage. The imprisoned Slaves managed to free themselves from their shackles. They killed the ships captain and the cook and demanded that the crew set course back to Sierra Leonne in Africa. The crew did change course but not to Africa. The ship was intercepted by the US Coast Guard and the slaves had to spend two years fighting for their freedom in the US courts. The Wilberforce Institute for the Study of Slavery and Emancipation has undertaken a great deal of research into resistance. One of the findings that may come as a surprise is the volume of attacks on Slaving ships. The research of the institute director, David Richardson, into 485 acts of violence against ships shows that 93 of these were made by free Africans from the shore. This makes the voyage susceptible to attack from it’s launch through to docking. Though this unit has a focus on the British Empire, the first example of Slave Rebellion on plantations that we put forward is against French rule. The Saint Dominique rebellion against the French had repercussions across the colonies of the Caribbean, be they French ones or those of any other colonial power. Saint Dominique was a French colony. It was a huge part of French imperialism. Saint Dominique produced roughly a third of the worlds sugar and over half of the worlds coffee. This is a massive Slave based economy. The problems for the French arose as a result of the French Revolution. In 1790 the French were declaring the rights of man in Paris, then refusing to extend these to coloured people in the colonies. It led to a rebellion led by Vincent Ogé. This rebellion was put down but the issue did not go away. Toussaint L’Ouverture led a second rebellion, this a much larger and more successful one. Over a thousand plantations were burnt down. L’Ouverture also now had many African born soldiers taking his side. Much of the island was under Slave control. In 1793 French agents began moves towards ending Slavery in the colonies. It became French law in 1794. However, this coincided with the French going to War with the British. The British invaded Saint Dominique as part of this war, The former slaves resisted and the British could not overwhelm them, even with reinforcements. The British eventually came to an agreement with Toussaint L’Ouverture. There would be no more fighting between the British and the Saint Dominicans and trade would take place. For now Saint Dominique was home to a population of freemen. When the Anglo-French War came to an end, Napoleon emerged as the leader of France. He wanted to reinstate French Colonial rule over Saint Dominique and introduce a form of chattel Slavery. 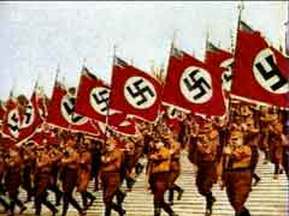 He assembled a force of 35000 troops to reoccupy the colony. As the British had done, Napoleon struggled to overcome resistance from the self declared freemen. Reinforcements were sent in large numbers. The French lost 55000 men. They were defeated by former slaves. The victory of slaves over the two most powerful European armies sent shockwaves through the planter owner class of the colonies. If it could happen in one colony, it could happen in another. It gave the abolitionist movement impetus and saw merchants beginning to develop alternative, profitable, methods of trading with the Caribbean. Britain herself had seen long and difficult Slave Rebellions. In 1760-61 Jamaican slaves rose in what is called Tacky’s War. This revolt took the British army a year to quash. Tacky is the Anglicised name of the leader of the rebellion. A former African king, he had sold many of his own enemies into slavery. His own kingdom was then defeated in battle and he himself became a slave. He plotted a revolt intended to claim Jamaica for himself. Tacky’s rebels killed several masters and captured guns and munitions from stores. They themselves did little harm. Numbers were quite small and Tacky himself was killed, decapitated and his head displayed on a stick as a warning to others. A series of similar revolts followed. It is not known if these were coordinated but they appear to have followed a similar pattern. A Queen of the Ashante people was also involved in rebellion at this time. Whether or not the two are linked is a matter of debate. She is known to have been removed from the island to prevent her rousing rebellion. The Queen persuaded the crew to drop her at the other side of Jamaica instead of taking her away from the island. The authorities executed her upon discovering her.